When the original location close to the University campus closed after decades of delicious handmade pizzas made with heart and served with a side of an old school jukebox, Edmonton Trapper's and Greek memorabilia, Edmonton lost a cornerstone of food history. Students crammed for exams, dropped in after graduation dinners, took their dates, and then their families to this bustling restuarant despite the ridiculously limited parking spots. Before the owner retired, he promised loyal patrons that he'd only sell his recipe if the new owner promised to keep on the original staff and make the pizza the way it has been made for countless years. Heartened by that promise - being long time customers of the original pizza joint, we headed down to the new Stony Plain road location. The stark bare white little cubby hole we were greeted with was a bit disconcerting, but a large photograph of the original restaurant hanging on the wall as well as the familiar scent of Pharos pizza sauce kept our hopes up. 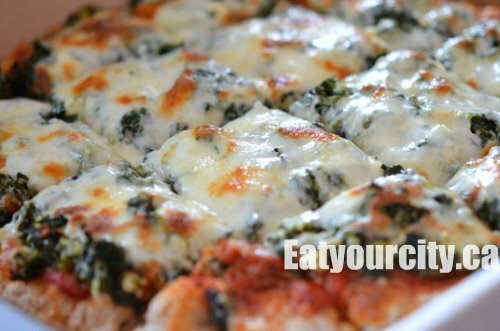 The Popeye pizza has always been our favourite in the past.. a super thin crust topped with loads of spinach and a ridiculous amount of feta and mozzarella cheese. I'm not sure what was more addictive, the combination of Pharos secret sweet tomato sauce with the spinach or just all the loads of molten greasy cheesey goodness. When the pizza came out, it looked similar, though there was lots of changes. While the whole wheat crust was liberally coated with crunchy grains of cornmeal, it was much thicker than we remembered - the dough wasn't hand prodded enough before baking, so it rose more fluffy and poofy rather than the characteristic dense thin crispy crust. The amount of spinach was nearly doubled (no complaint there), but the cheese quality is lower and there wasn't much feta to give it a salty savory bite. There was only just enough cheese to hold the toppings on the pizza - nothing like the ridiculous amount of cheese on the original pizza we fondly remember. 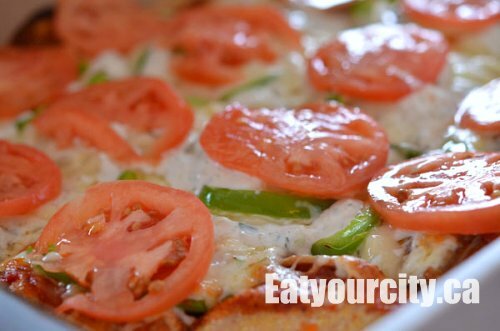 The donair pizza was another favourite of ours and this one unfortunately did not resemble the original recipe at first glance. 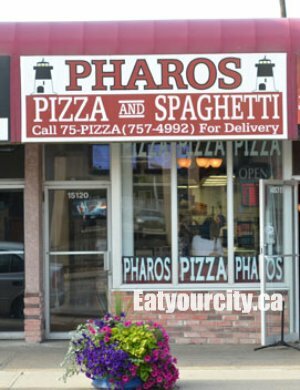 There was taziki sauce added under the tomatoes which while never found in the original Pharos donair pizza, it added in a bright sweet note. The donair meat looked nothing like the asymmetrical randomly sliced donair off of a donair roaster.. but looked and had the bland taste profile of thinly sliced deli meat. The sweet tomato sauce stayed true to the original, and the crust again was fluffy instead of dense, thin and crisp. The quality of the cheese was run of the mill and nowhere near high quality cheese the original Pharos used. Overall, for someone who hasn't eaten an original Pharos pizza before, the pizza was decent, but doesn't hold a candle to the original Pharos pizza. While chatting with some other customers sitting at the sole small table (there was some bar seating), we quickly realized none of the current customers coming in had any inkling of even the existence of the original Pharos. The chef said the original owner came in to teach them how to make all the recipes prior to him retiring, but despite those efforts, the pizza just isn't the same. Maybe its the lack of kitschy decorations, the various paintings and photographs of Santorini, the warmth of the staff that know their regulars by name, the vintage wooden tables or the laughter of children at the adjacent tables, but this new Pharos just isn't the same. The current owners are trying to purchase the adjacent properties - an adult massage parlour and pawn store to expand their seating area, though to be honest, this area isn't really conducive to bringing the kids along. 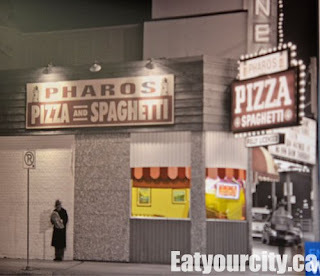 Sadly, the excellent Pharos Pizza and Spaghetti House will only live on in their fans fond memories. Thanks for the post! The pics didn't make the food look good, which mean the food wasn't good! The tomatoes aren't even ripened yet! This joint has been closed. I'm still trying to recreate a popeye's pizza... I Loved the old Pharaoh's Pizza on 109th... When they closed it down, I cried a little.